SOUTH KOREA (June 10, 2016) — Assistant Overall Servant Bro. Daniel Razon announced that the Worldwide Bible Exposition of the Members Church of God International (MCGI) will be live streaming via Facebook Live on Friday, June 10. Bro. 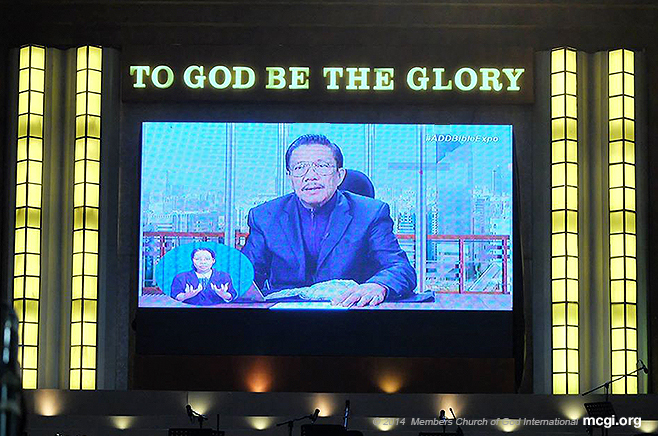 Razon, who traveled to South Korea to personally tend to the brethren’s needs, discussed how the Bible Exposition event of the Church can be more easily and accessibly shared through technology. “Our upcoming activity will be our [Worldwide] Bible Exposition, and God willing, we will be broadcasting it on our Facebook channel so that we can reach and invite more people,” remarked Bro. Razon on Saturday, June 4. “Those who can go to the Coordinating Centers, you may do so and bring your relatives, friends and acquaintances. But just the same, we are giving everyone other possible means [to be able to attend the Worldwide Bible Exposition], especially those who are in remote places, and in different countries,” added Bro. Daniel. The Church’s unique Q&A event format, also more popularly-known as “Itanong Mo Kay Soriano, Biblia Ang Sasagot” (Ask Bro Eli, The Bible Will Answer) will make its debut on Facebook Live this month, giving audiences from different parts of the world ready access to the worldwide event. Meanwhile, the English version of the Bible Exposition catering to North American audiences has already debuted on Youtube earlier this year. On both Facebook Live and Youtube, online audiences may interact with Bro. Eli by posting their questions and comments. Questions that may not be answered on the night of the Bible Exposition due to time constraints will be collected and answered on succeeding Bible Exposition events. More commonly asked questions that have been previously answered By Bro. Eli will be given links to the answers from the Church’s official websites such as AngDatingDaan.org and TheOldPath.tv. 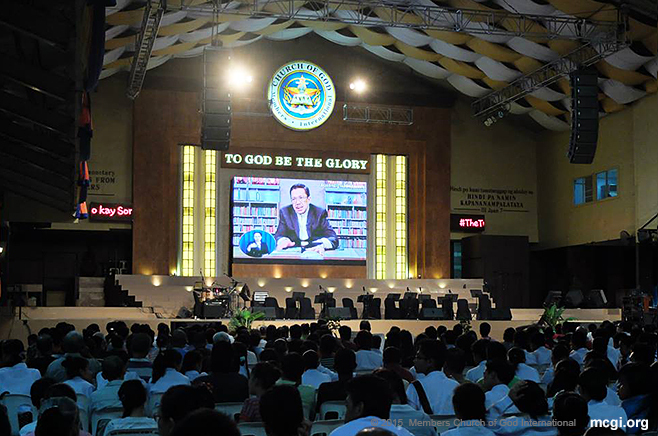 MCGI’s Ang Dating Daan Worldwide Bible Exposition event is a venue where MCGI Overall Servant Bro. Eli Soriano answers questions of faith and spirituality from guests in different parts of the world. The Bible Exposition started in 1993, and was a brainchild of Bro. Daniel Razon himself, when he together with Bro. Josel Mallari were the Church’s Officers-In-Charge assigned in Metro Manila. “I told them, I think it would be great if we could bring back how Bro. Eli used to go to different towns to preach. [But what we did differently,] was we invited our friends to a gathering, where refreshments were served. And as part of the program, Bro. Eli spoke, and our friends were able to ask him their questions. That’s how it started,” recounted Bro. Daniel. Today, through advancements in technology, Bible Expositions now cater to a worldwide audience through live streaming. Bible Expositions for Portuguese and Spanish-speaking audiences are done weekly. “God is merciful. We trust that as we were all able to hear Bro. Eli’s preaching, we will be able to let our fellowmen hear our faith as well,” ended Bro. Daniel.